Proudly Servicing Frederick and Montgomery Counties. Delivering on expert craftsmanship and professional service, Tim Burns Contracting is the Frederick and Montgomery counties choice for residential and commercial plumbing, heating, drywall, carpentry, roofing, doors, windows, flooring, painting, and more. Tim Burns Contracting provides a range of quality services for your residential and commercial needs. • Floors - Wood, Concrete, etc. Tim Burns Contracting is a General Contractor which staffs carpenters, masons, painters and a host of Sub Contractors that he has spent years in acquiring. We provide full capability residential and commercial general contractor services in the Frederick and Montgomery counties, MD areas. From simple jobs to complex restorations, Tim Burns Contracting delivers the individual attention needed for any project. We'll be happy to help. 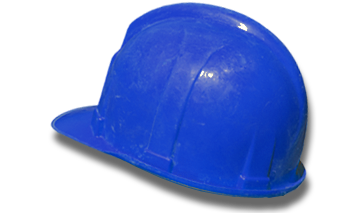 We are experienced, skilled trades people who can handle a variety of construction projects. If you're unsure how to shingle a roof, put up new walls, deal with electrical or plumbing issues, lay floors, etc., then we're here to help you! © Copyright 2019 Tim Burns Contracting. All rights reserved. All information provided is provided for information purposes only and does not constitute a legal contract between Tim Burns Contracting and any person or entity unless otherwise specified. Information is subject to change without prior notice. Although every reasonable effort is made to present current and accurate information, Tim Burns Contracting makes no guarantees of any kind.